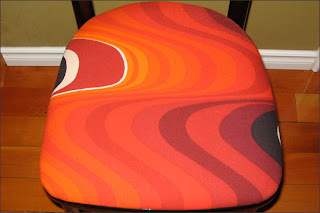 Remember my chair from the Gibsons Recycling Depot that I bought for $2? 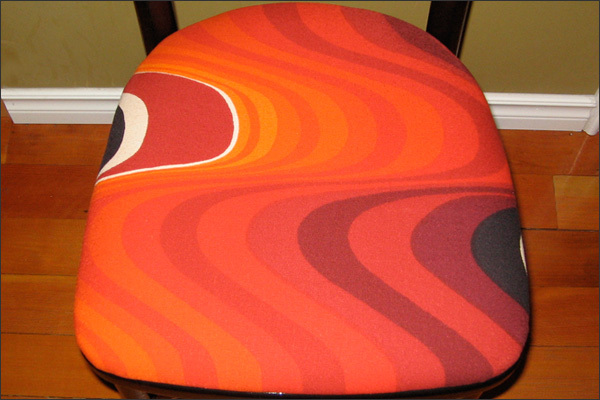 Well I got Paul to reupholster it AGAIN. I couldn't help myself... The Ikea fabric we used the first time around had a snag in it and it was haunting me! We had to redo it. 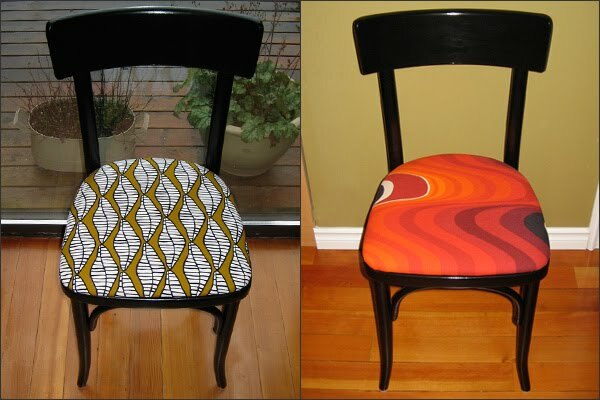 I used the retro fabric I bought from the Happy Cat Haven book sale last year. I think it looks super fun! 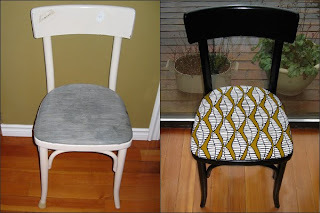 Paint and a little fabric can really make a difference! GREAT JOB!